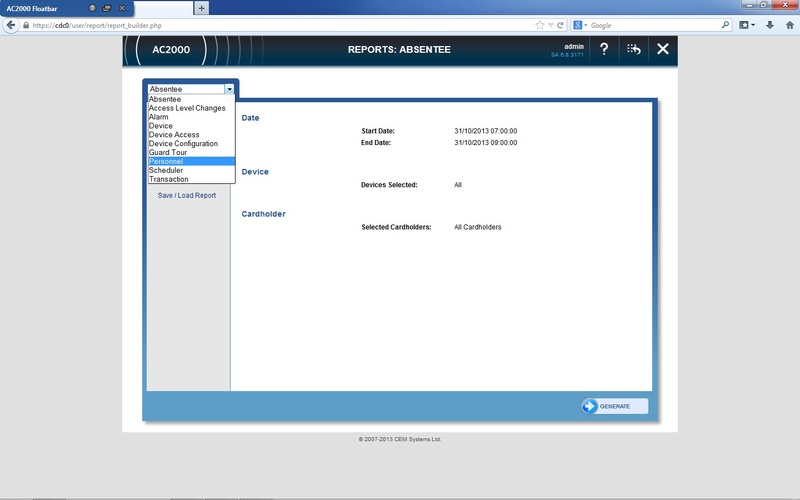 AC2000 WEB Reports is a web based application that allows a system operator to run and create a range of customisable reports on all alarms and transactions generated within the AC2000 system. System operators access the web reports through any readily available web browser such as Internet Explorer, Mozilla Firefox or Google Chrome. Report templates can be generated and saved for both alarms and transactions based on the following criteria; Date, Device, Alarm Type, Cardholder or Transaction Outcome. Reports can then be emailed to any email address either daily, weekly or monthly at specific time intervals. 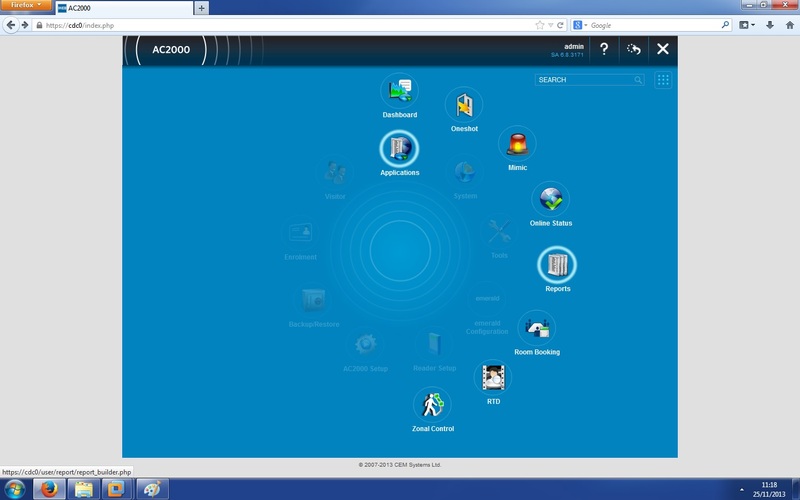 The benefit of the AC2000 WEB reports to customers is the ability to generate reports based on the user’s own criteria. Customers have the ability to save report templates for later use and also to schedule reports to be auto-generated and emailed. This significantly reduces time spent by the system operator accessing the data required in the desired format either on or offsite.